The directory includes valuable information such as market focus, price points, territories served, number of locations, rep type, and specific brands carried. In addition each record includes address, phone number, key contacts, website address, and e-mail address. Arranged geographically, the directory also includes an alphabetical index, a brand index, and a rep/contact index. The Independent Apparel Representatives and Multi-line Showrooms directory includes information on over 1,000 independent sale agents and multi-line showrooms representing the fashion industry across the United States. 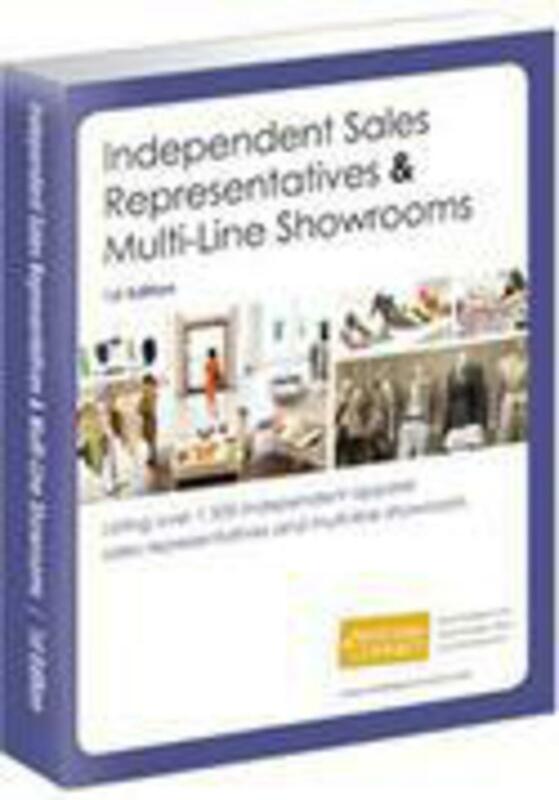 These agents and showrooms are critical to merchandisers and manufacturers looking to connect with retailers to introduce their lines into the retail space. 1. Print directory with alphabetical, brand, and contact indexes. Build your network for success! Unlimited views and searches with access to all data including contact emails when available. Also download up to 1,000 full profiles, including emails!